Is it good to have high lvl mashu? Hi, I’m new at this game. At first I didn’t care to much about Mash. Not until Meijin Ishin Pillar fight, I realize how useful she is. I raise her from lv 18 to 60 without thinking then max her 1st skil and worth it. Recently I finish Camelot and get her NP + skill upgrade. Now my mashu lv cap is 70 and have 10k HP. Do I still need to raise her? You’ll still want to raise her to lvl 80 10/10/10 eventually. She’s just that good of a defensive support, + zero team cost gives a lot of flexibility to field more 5* CE’s and servants. Dude, she is one of the best 3-4 star servant… It’s worth to raise her lvl 80 and max level all her skill. She isn’t particularly good at farming, but she is incredibly valuable on challenging quest (furthermore she cost 0). I don’t think I have seen grailed Mashu but all Mashu should be lvl 80. Considering her AP cost, she’s the best servant on the game by far ! So leveling her is top priority. While her damage is low, she make that up with her neutrality against all class and her high HP. All of her skill leans toward defensive(except for Ortenaus custome dress that force upon her during Lost Belt) that will save your dps during boss battle. Ortenaus will change her role to taunter instead of defender. More reason is her low cost can help you hold event CE much easier. You already finished Camelot, and still haven’t seen Mashu’s worth and potential? 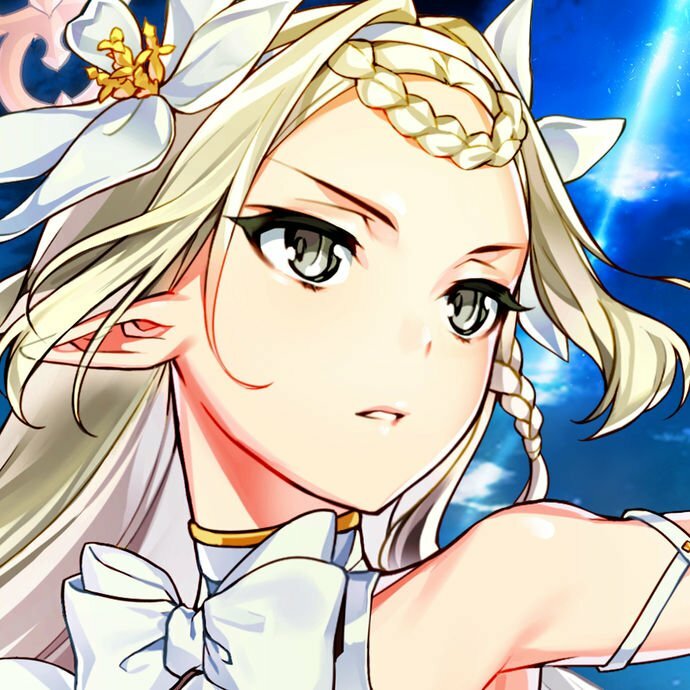 You’ll need her in the fight against Kiara in CCC event. You need to bulk up her HP even more so your team can guarantee higher chance of survival. First rule of FGO: Max best kouhai. Level 80, 10/10/10. Do it immediately. YES SHE’S SO GOOD. Her first skill is awesome, especially with some other form of defensive measure…or a Tamamo so it’s effectively on a 4-turn cooldown (that means it’s up 75% of the time!). She’s literally the cheapest servant to level so there’s really no excuse to not max level and max skill her. She’s almost gamebreaking in her defensive capabilities. In tough content especially if you’re new or lacking solid counters to difficult content she will bail you out time and time again. All skills are useful as hell. She takes neutral dmg from zercs so her taunt against zerc bosses invaluable. Vs enemies with big hitcounts, she can spam that NP. 2 of them on plus 1st skill allowed me to tank Moriarty NP multiple times. She also combines well with Zhuge, in stall teams. Yeah, Mash is one of the best tankers and defensive buffers in the game. Also, as some others have said, she’s one of the cheapest servants to raise, so she’s a must to have maxed. You can’t even trail her. As her master I will give her full praise. Mashu has never disappointment me! lvl 80 10/10/10 right now she is my only one max like this. If you give her your all she will do the same for you! Long answer: Yes, very much so. It is good because before you get GOD-TIER Support like Waver and Merlin, she is one of your best support in the game. She will help your team longer in battles, because her all defence skill kit, and she can taunt enemy. She is better than 90% of all other servants.